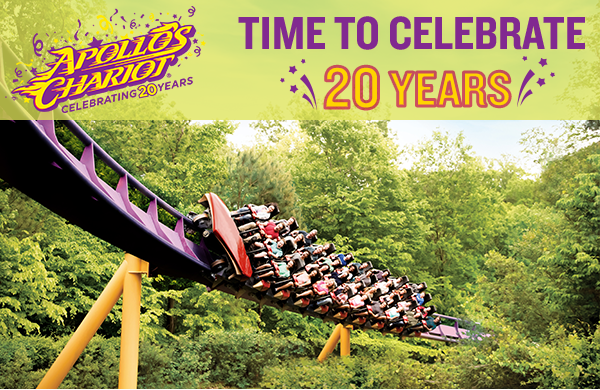 Busch Gardens Williamsburg is thrilled to celebrate 20 years of Apollo’s Chariot on March 30! 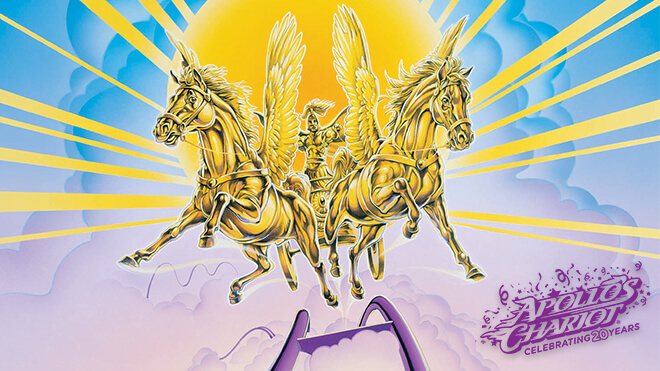 Since 1999, this steel hypercoaster has carried over 28 million riders across the skies. 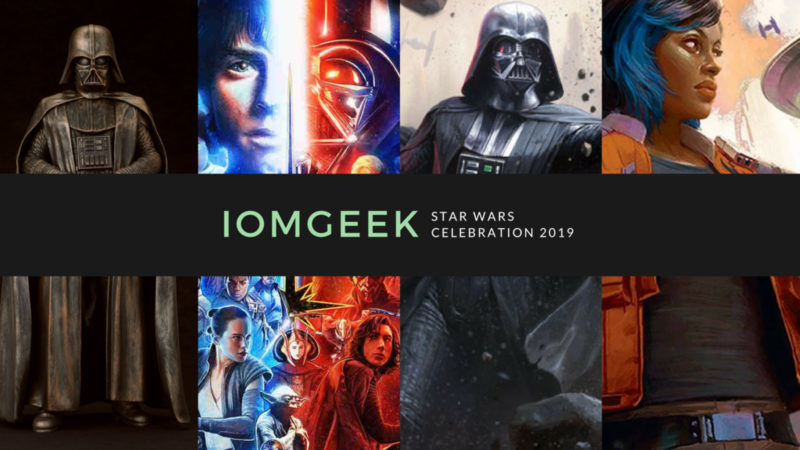 In honor of this momentous occasion, we’re holding a Members Only event on March 30 and 31. Basic, Unlimited, Premier, and Platinum Members will enjoy exclusive ride time on Apollo’s Chariot and Tempesto from 9:00am to 10:00am. Parking tolls and the front gate will open at 8:45am. At the end of the ride, don’t miss your chance to purchase a commemorative on-ride 20th birthday celebration photo! Busch Gardens Williamsburg will feature special food specifically for this event! 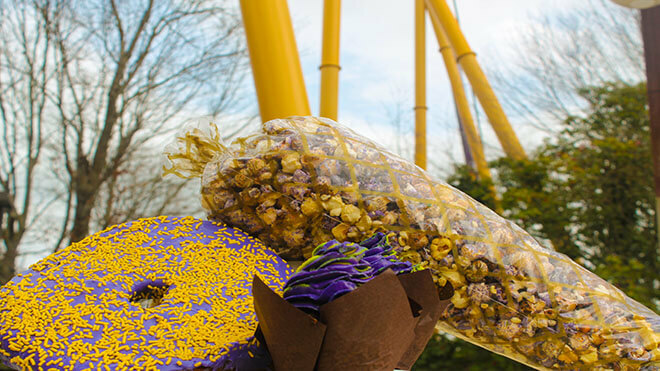 Once you’ve gotten your fill of thrills, party like it’s 1999 with the throwback playlist and some tasty treats— Apollo’s birthday cupcakes, purple kettle corn, and god-sized donuts, while supplies last. Special merchandise will include a 20th anniversary mug or tumbler, and Apollo’s Chariot gear at the Tempesto Gift Shop.